Please note that I am trying to piece together information from multiple sources for this page so it is very much a work in progress. The Avonmouth Docks system utilised a large motive power stud, mainly consisting of locomotives constructed in Bristol by Avonside or Peckett. It is believed that ‘Mackenzie’ was given a new boiler in 1955, but in 1960 was dismantled and the boiler fitted to ‘Henbury’. Peckett ‘Henry’ at Avonmouth sheds. The HC diesel on the right is ‘Arthur’, dating this photograph after 1949. (I have been unable to trace the copyright owner of this photograph, if anyone has any information then please do get in touch). Withdrawn in April 1962 and scrapped. ‘Henbury’ is believed to have been fitted with ‘Mackenzie’s boiler in 1960, at the same time gaining the distinctive curved smokebox front similar to ‘Ashton’. It seems that the cab and tank fronts were lined out at the same time. Henbury as port locomotive number S9, shortly after a major overhaul in 1963. Vacuum fitted to work passenger trains. YouTube channel Unseen Steam posted this video of a railtour visit to Avonmouth in 1963. The ‘S’ prefix was added to the loco numbers in the early 1960s as diesel traction was introduced, as well as the addition of the distinctive red and white striped bufferbeams. At first a small batch of Hudswell Clarke diesels were purchased. Sold to Guest Keen & Nettlefolds Ltd. Tremorfa Works, Cardiff October 1966. Retained its name, but the running number became 378. Sold for scrap to Birds (Swansea) Ltd. Cardiff 1972. The name was then transferred onto 0-6-0DE Yorkshire Engine 2633 of 1957. Sold in 1971 to R. O. Hodgson Ltd. of the English China Clay Group where it was used at their general warehouse at Carnforth, Lancashire. In 1985 it was sold to the Keighley and Worth Valley Railway in Yorkshire, initially as source of spares for another loco, but has since been preserved in its own right, although currently out of use awaiting overhaul. D2005/No.25 ‘Celidon’ (works No.D915 built in 1956) 0-6-0DM – Sold in 1973, worked for a brief period in Romford, then exported to Belgium. Worked at the George et Cie. plant near Charleroi, where it was spotted out of use in 1999. Believed to have been scrapped in 2001. This locomotive, some of its class-mates, and other second-hand locomotives (including ex-BR class 03s) passed through the hands of a dealer/hirer in Maldegem. Thanks to Eddie Barnes for the information and photographs of this loco in Belgium. Sold to Howard Doris of Plockton, Kyle of Lochalsh, in 1969. Seen in that company’s yard alongside ‘Guinnion’ on 26th July 1981. Sold to Howard Doris of Plockton, Kyle of Lochalsh, in 1969. Seen in that company’s yard alongside ‘Tribruit’ on 26th July 1981. No. 30 (works No.D1171 built in 1959) 0-6-0DM – Sold to Western Fuel Co. where it was named ‘Western Pride’ and worked on the Wapping Wharf line. Now preserved and undergoing restoration in Warwickshire. No.31 (works No.D1172 built in 1958) 0-6-0DM – later sold to Strood Coal Concentration Depot from where it was withdrawn and scrapped some time after 1984. The miner’s strike and lack of coal moving by rail meant that the two locos at the Strood Coal Concentration Depot had no work to undertake during my visit on 26th October 1984. Ex-Port of Bristol Authority Hudswell Clarke 0-6-0 diesel mechanical ’31’ (works No.D1172 built in 1959) is in the company of 0-4-0 diesel mechanical ‘Telemon’ built at the Vulcan Foundry (works No.D295 – Drewry Car Co.2568 of 1955), which had previously worked at the nearby William Cory’s Rochester Coal Wharf. This loco is now at the Cambrian Railway, Oswestry but the Hudswell Clarke didn’t survive. Copyright Gordon Edgar – No unauthorised use. Reproduced here with thanks. In 1965 a fleet of 8 Sentinel shunters came to the port. Finished in smart blue livery, they were direct replacements for the steam locos, which were withdrawn shortly afterward. 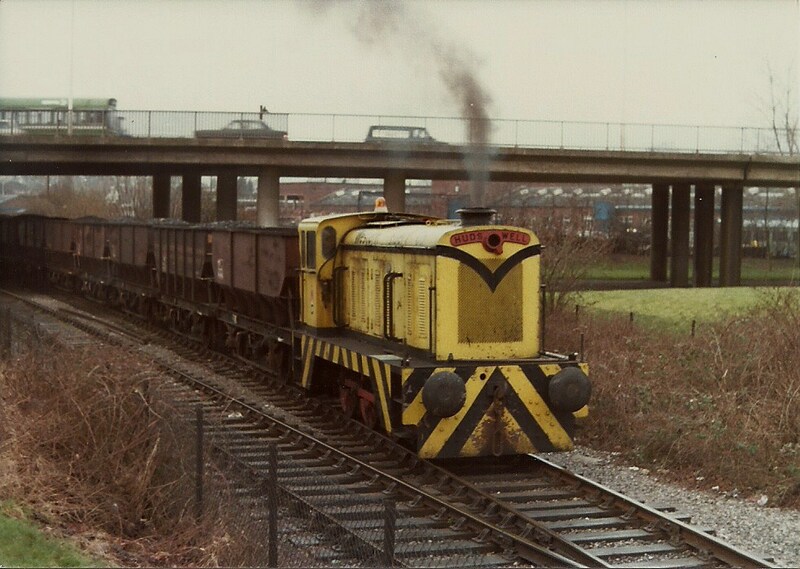 PBA 38 (works No.10217) – sold to Tunnel Cement before the closure of the Avonmouth railway system. 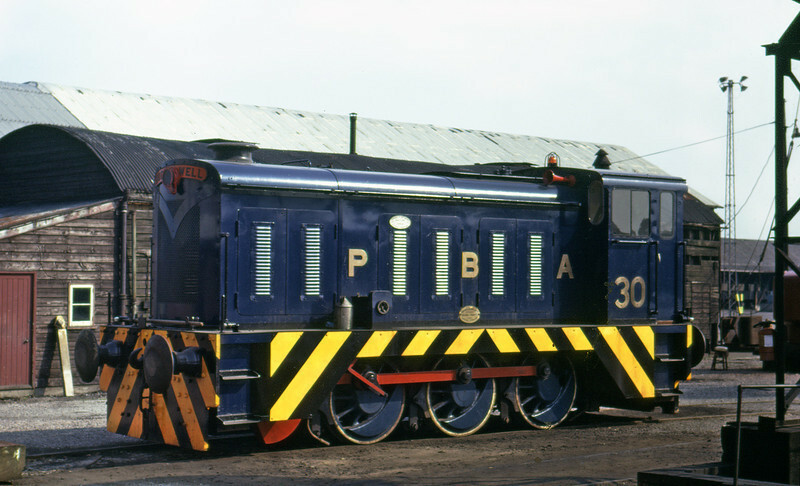 PBA 39 – now preserved on the nearby East Somerset Railway, and has recently been restored to its original PBA livery. Also at Cranmore is the privately owned 10218 ‘PBA 39’, sister of Port of Bristol Sentinel PBA 42. It was built in May 1965 and overall approximately 90 of these 0-6-0SR class LBS were built. This locomotive is currently in working order and was restored in 2011 to its original Oxford Blue livery, yellow and black lining, with red and white buffer beams (PBA 42 is due to be restored to the later style, with yellow and black chevron buffer beams and skirts). 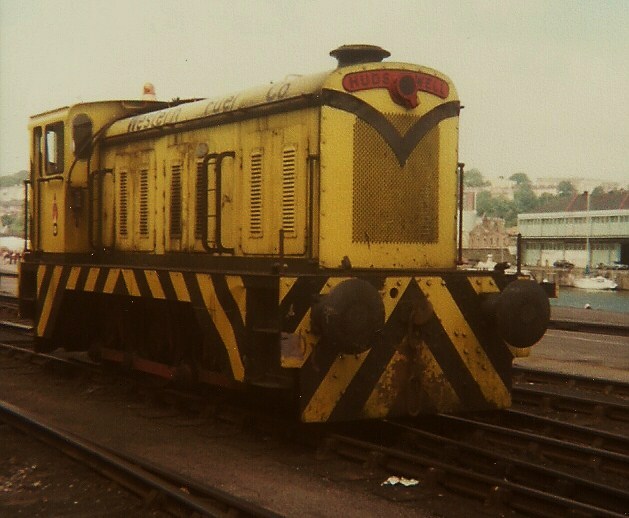 It was one of the last operational locomotives at Avonmouth Docks, going from there into preservation at the Dean Forest Railway in 1984, before coming to Cranmore in 1999. PBA 42 – also known as ‘Eric’, which went on to work for La Farge in Westbury, before being preserved in 2007, and is currently awaiting restoration on the East Somerset Railway. PBA 42 was new to the Port of Bristol Authority’s Avonmouth docks in July 1965 (works No.10221) and was the last of a fleet of 8 Sentinel locomotives (PBA 34-42). Rail traffic ceased in 1983 and the locomotive was sold through Sparrows Equipment Sales in 1985, eventually ending up at the Rover Plant in Longbridge, after an overhaul including fitting with train air brakes. In 1999, 10221 moved to Blue Circle Cement’s Westbury works, later gaining an unusual livery and the name ‘Eric’ as a result of a competition to design it by local primary school children. In 2005 the locomotive suffered a severe electrical fire, burning out all the wiring and damaging the control desk and air control system. The other resident locomotive at Westbury had a transmission failure about this time too, so 10221’s unit was robbed to replace it. The air brake donkey engine compressor was also taken off for the other locomotive and 10221 was dumped at the end of the sidings for many months. A visit was arranged, just out of curiosity to see what condition it was in and luckily Lafarge Cement (successors to Blue Circle) offered to donate the locomotive. Although in bit of a sorry state, it definitely had potential and the group were very happy to accept it. Lafarge Cement up in Dunbar very kindly donated a large quantity of spares from scrap locomotives and from their stores, which contains most of what will be needed for 10221’s eventual restoration and to keep the two Chain Drive locos working too. The restoration on 10221 will begin once 10199 is completed. 10221 has the 8 cylinder 311hp engine, twin disc transmission and RF11 final drive (with the drive to the centre axle) and weighs in at 48 tons. The second four of the PBA locomotives unusually have rubber suspension, PBA 42 being one of these. They appear here for research purposes only and may not be used for profit or gain without permission. Many thanks to http://www.leedsengine.info/ for information on the Hudswell Clarke diesels. Thanks must also go to Eddie Barnes for information and photographs of ex-PBA locos sold to other companies.